How do you get your unique thing to be what people say, “I must have that!” What is it they need to know about you? What’s the first thing YOU need to communicate when an audience is giving YOU a death stare? Well, it’s not necessarily the thing itself, but the FEELING you want them to have. 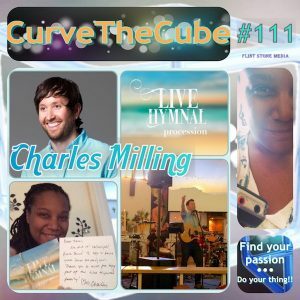 Charles Milling talked about what a difference there was between when his audience had no idea what to expect and then after they had experienced a bit of the Live Hymnal magic. There was a FEELING there that they captured and would then want to turn to Live Hymnal over and over again to recapture. So, how do I or you or anyone else apply this into practice for our own thing? Well, you have to really think about what you want your audience to gain from having experienced you. And, yes, I mean YOU–not your thing. Because, ultimately, they may come for music (for example), but they come back for the experience that only YOU can give them. And, that is especially powerful the more unique your thing is. So, how do you boil down what you’re doing and distill it to a feeling? Well, as much as I’ve tried thinking before about what I want Curve the Cube to be for people and how I want it to affect their lives, I didn’t really get it (and, I’m still working on it) until I took myself out of it! How do I want someone to feel after they listen to an episode? Well, I want them to feel inspired to discover what they are passionate about, do what they love, and believe that they can work around the obstacles. Ultimately, I want people to believe in themselves and then apply that belief to a more authentic path and purpose in life. We were NOT all meant to spend years upon years of our lives doing otherwise. Examples of other curvists doing their thing. Insights into my own, ongoing journey that honestly shares just how hard this is, so people can know that, if I can do it, so can they. 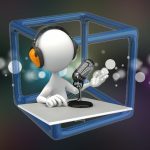 Tips and tricks to give my listeners clear action items they can employ. (This last one I’m also doing a lot more of now on social media. So, be sure to follow Curve the Cube on the intersocial cells.